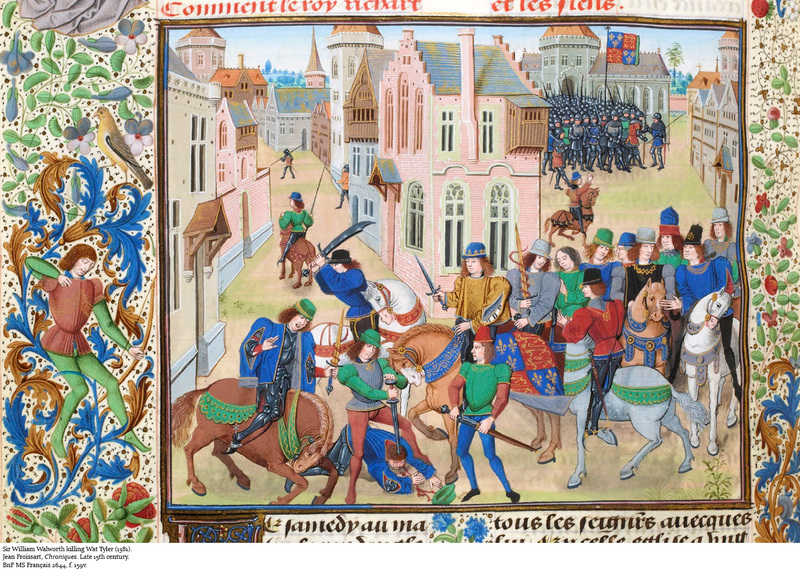 Wat Tyler (d. 1381) [Rebel; leader of the Peasants' Revolt, 1381]. 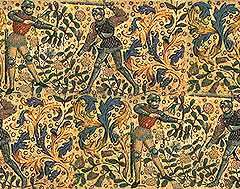 TYLER, TEGHELER, or HELIER, WALTER or WAT (d. 1381), rebel, had no real surname, all the above designations referring to his trade, which was that of covering roofs with tiles. There were several others of his calling among the ringleaders of the peasants' revolt of 1381, one, it is said, of the same christian name, and some confusion has resulted. He is usually credited, for instance, with having given the signal for the rising in Kent by killing a collector of the poll-tax who insulted his daughter, but John Stow,1 who is the only authority for the incident, following a St. Albans chronicle (apparently now lost), carefully distinguishes the John Tyler of Dartford, who committed this deed, from Wat Tyler, who belonged to Maidstone. The rolls of parliament2 describe Wat vaguely as 'of the county of Kent.' More than one place in Kent claims to be his birthplace.3 Walter Tyler 'of Essex,' who was presented by a Kentish jury as one of the two leaders of the rioters at Canterbury on Monday, 10 June, must, if correctly described, be a different person.4 But the recently discovered Stowe manuscript states that after holding council at Dartford the rebels took Rochester Castle on 7 June, and, choosing Wat Tyler of Maidstone to be their captain, were led by him to Canterbury. Possibly the East Kent juries laboured under a mistaken impression that he came from Essex. Little is recorded of Tyler's conduct during the conflagrations and murders in London on 13 and 14 June, but he clearly assumed the chief place among the leaders of the rebels. A proclamation in Thanet church on the 13th ran in the names of Wat Tyler and John Rackstraw, but the St. Albans insurgents who reached London on Friday the 14th were divided as to which was the more powerful person in the realm, the king [Richard II] or Tyler, and obtained from the latter a promise to come and 'shave the beards of the abbot, prior, and monks,' stipulating for implicit obedience to his orders.4 Froissart ascribes the slaying of the notorious financier and forestaller Richard Lyons, condemned by the Good parliament but pardoned by the influence of John of Gaunt, to the private revenge of Tyler, who, he says, had been Lyons's servant in France and been beaten by him. But this seems most improbable.  The Stowe manuscript5 is the only authority which brings Tyler to the interview between the king and the Essex insurgents at Mile End on the Friday morning, making him present their demands, including one, not elsewhere mentioned, for permission to seize the 'traitors' to the realm. 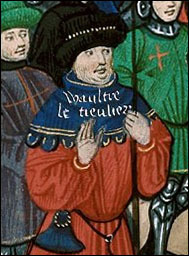 This Richard granted on condition that their treason should be legally established, whereupon Tyler and his followers rushed off to the Tower to take the archbishop. In any case, Tyler and the Kentish men remained in London over the Friday night, while most of the Essex villeins went home with a promise of charters of manumission. On the Saturday morning, 15 June, fresh outrages were committed, and Richard, after a visit to the abbey at three in the afternoon for solemn prayer, issued a proclamation summoning all the commons in the city to meet him in Smithfield outside the north-western gate. The accounts we have of what took place there vary considerably, and most of them are obviously coloured by violent hostility to the insurgents. Some exaggeration may be suspected in Walsingham's story6 that Tyler's real object was to put off the king until the next day, and in the night sack London, killing Richard and his chief supporters, and firing the city in four places; and that he demanded a commission for himself and his followers to behead all lawyers, escheators, and every one connected with the law. He is reported on the same authority to have boasted that within four days all the laws in England should proceed from his mouth. The fullest and most impartial account of the whole scene at Smithfield is supplied by the Stowe manuscript.7 Summoned by Walworth, the mayor, to speak to the king, Tyler rode up on a small horse, dismounted holding a dagger, and, half kneeling, shook Richard heartily by the hand, bidding him be of good cheer, for he should shortly be far more popular with the commons than he was at present. 'We shall be good comrades,' he added familiarly. Asked why he did not return to his country, he replied with a great oath that none of them would do so until they got a charter redressing their grievances, and it would be the worse for the lords of the realm if they were refused this. At the king's request Tyler rehearsed their demands, which were that there should be no law but the 'law of Winchester,' and no outlawry; that no lord should henceforth exercise seigniory; that there should be only one bishop in England, and that the goods of holy church and the monastic foundations should, after suitable provision for the clergy and monks, be divided among the parishioners; and, lastly, that there should be no villenage in England, but all to be free and 'of one condition.' Richard promised everything consistent with the 'regality of his crown,' and urged him to go home. Tyler, whose oratory had heated him, called for beer, and, drinking a great draught in the king's presence, remounted his horse. But an incautious remark by a 'valet of Kent' in the king's suite, that he recognised in the rebel leader the greatest thief and robber in that county, was overheard by Tyler, who ordered one of his followers to come and behead him. 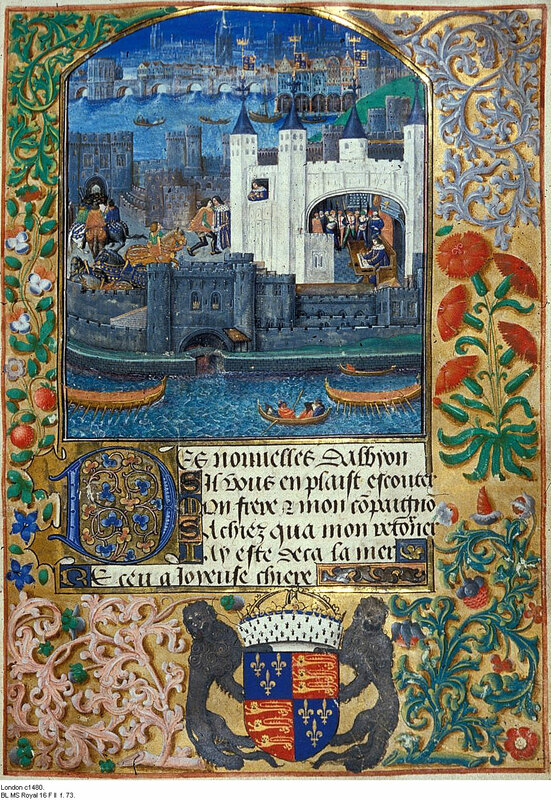 The man, who is identified by other chronicles with Sir John Newentone, keeper of Rochester Castle, boldly maintained the truth of what he had said, and Tyler, in his exasperation, was about to kill him with his own dagger when Walworth interfered and arrested him. Tyler thereupon struck at the mayor, who was saved by his armour, and instantly drew his sword and wounded Tyler in the neck and head. 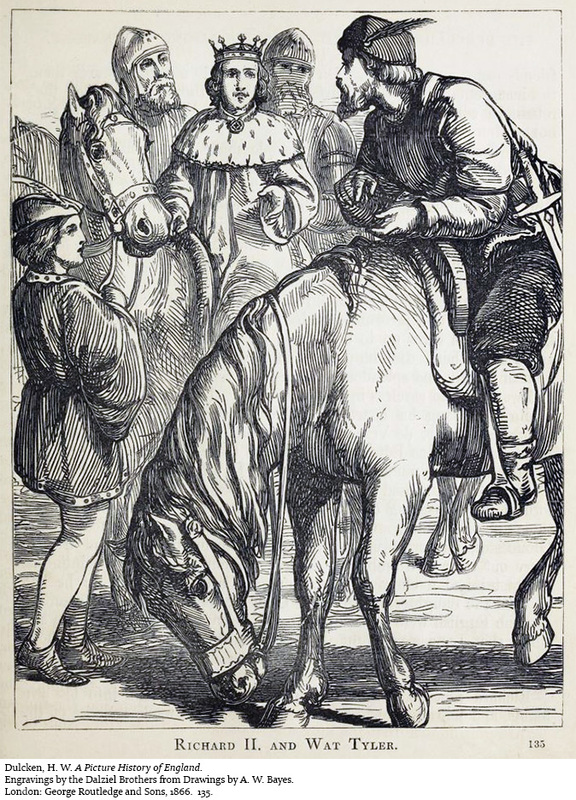 A follower of the king's, said by Froissart and the Continuator of Knighton to have been Ralph Standish, who was knighted immediately after, followed up the attack and inflicted a mortal wound.8 Tyler spurred his horse, calling upon the commons to avenge him, but after covering about thirty yards fell from his saddle half dead. His followers carried him into the adjoining hospital of St. Bartholomew, where he was laid in the master's chamber; but Walworth, returning to Smithfield after rousing the city for the king's protection, finding his body gone, and learning where he had been taken, had him brought out and beheaded. His head was carried on a pole to intimidate the commons, and afterwards, with that of the other chief ringleader, Jack Straw (? John Rackstraw), replaced those of Archbishop Sudbury and their other victims on London Bridge. 2. Rotuli parliamentorum, iii. 175. 4. ib. iii. 76; Walsingham, i. 468-9; Réville, Le Soulèvement des Travailleurs d'Angleterre en 1381, p. 10. 8. cf. Cal. Rot. Parl. ii.  32, 47; Baines, History of Lancashire, iii. 504. Dictionary of National Biography. Vol. XIX. Sidney Lee, ed. New York: The Macmillan Co., 1909. 1347-8. Richard II and Wat Tyler - 19th-c. illustr. Books for further study: Barker, Juliet. 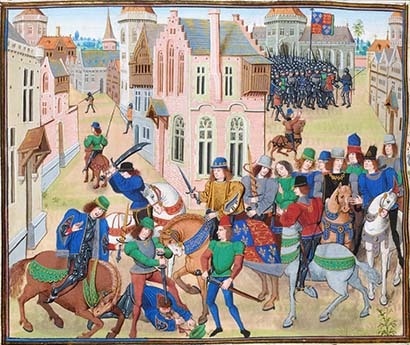 1381: The Year of the Peasants' Revolt. Dunn, Alastair. 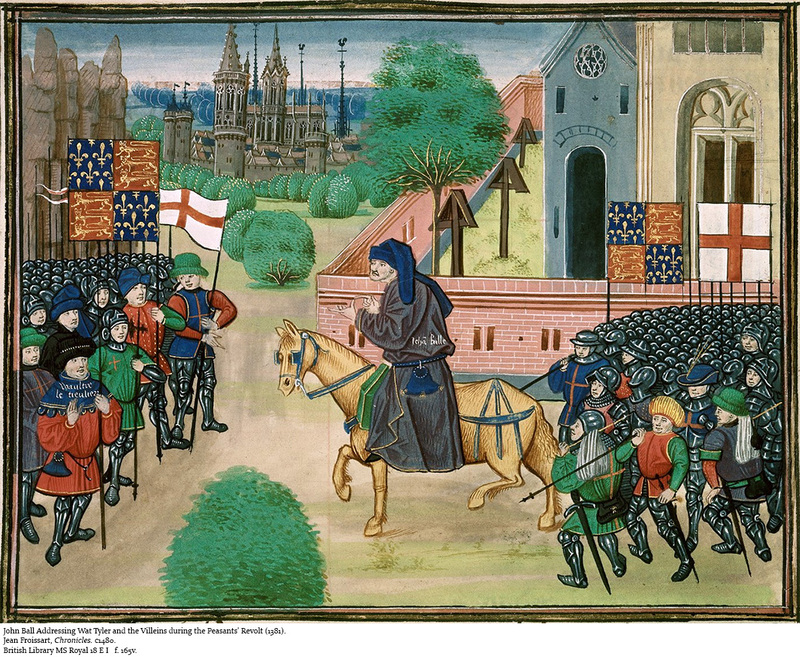 The Peasants' Revolt: England's Failed Revolution of 1381. 2nd Ed. Jones, Dan. 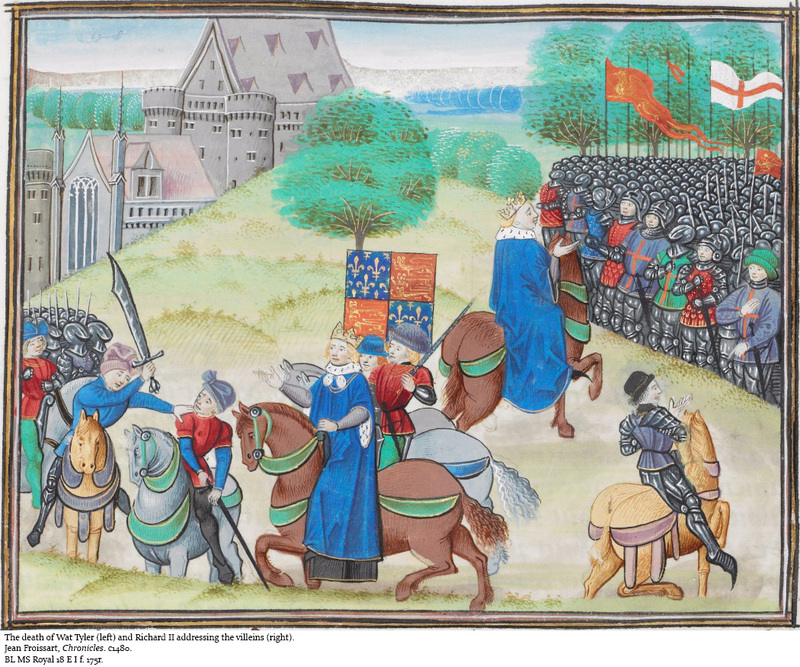 Summer of Blood: The Peasants' Revolt of 1381. Justice, Steven. 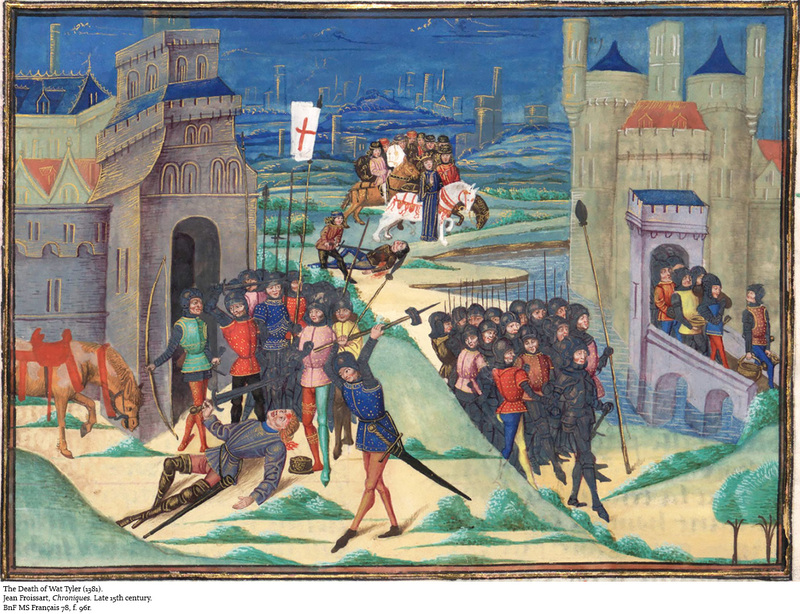 Writing and Rebellion: England in 1381. This page was created on November 17, 2017. Last updated November 12, 2018.